Vesper writer/director Keyvan Sheikhalishahi, who was a mere 18-years-old when he shot the film, has been experiencing quite a bit of festival success with this suspenseful, atmospheric 23-minute short film about a woman, Marge (Agnes Godey), who shuts herself away in her home in an effort to flee her sinister and manipulative husband, Walter (Götz Otto, Schindler's List, Downfall). She asks her nephew, Christian (Sheikhalishahi), for help but Christian soon realizes that there's more to both Marge and Walter than meets the eye. 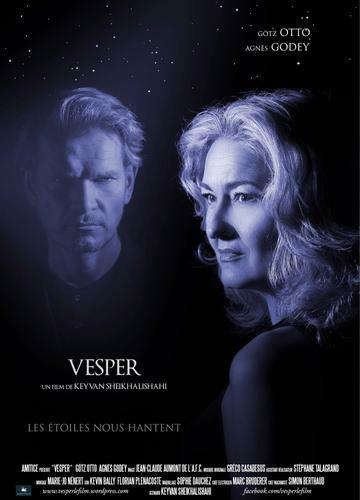 Having screened at festivals across the globe including the San Diego International Kids Film Festival, 12 Months Film Festival and a handful of others, Vesper is a Nolanesque film that builds its suspense early and maintains that suspense through its closing credits. 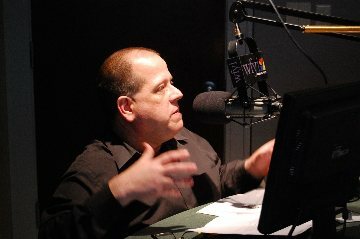 The film benefits greatly from tremendous original music by Greco Casadesus, whose music manages to infuse the film with a dramatic sense of urgency that is particularly relentless toward film's end. Known German actor Götz Otto is particularly impressive here as Walter, casting a menacing figure that is never quite clear even as the closing credits are rolling by. Jean-Claude Aumont’s lensing is stunning to behold, though it's also one of multiple layers within the film that starts to feel uneven as Sheikhalishahi's approach seems to be almost the kitchen sink approach of throwing multiple approaches at us and seeing which one resonates most deeply. It's not a bad approach, not at all, though the film's characters never quite draw us in like they really should. Vesper is a promising film, a remarkably promising film, and Sheikhalishahi serves notice that he's a filmmaker to watch in the future. It's ambitious, perhaps not entirely successful in that ambition, but it's impossible not to respect the filmmaker's ambition and obvious sense of style and willingness to tackle challenging material. Filmed in French, the short film offers up English subtitles and continues on its film festival circuit. If you get a chance, definitely check it out.